Jason Hawke submitted this photo and caption. This is a photo of my corps from the UK the West Coast Cadets in 1990 when we took part in a mini DCI tour for three weeks leading up to World Championships. I played second bass drum. 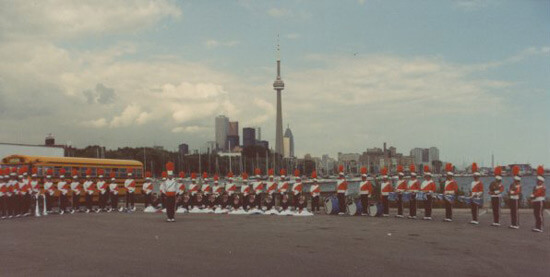 This photo was taken in Toronto just before we marched in a parade and competed at the DCI Canada competition.